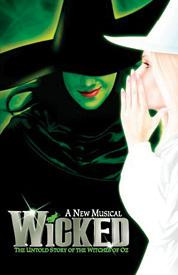 — Discover the untold story of the witches of Oz! The untold musical story of The Wizard of Oz’s Wicked Witch of the West and Glinda the Good... before Dorothy dropped in. Based on the imaginative Gregory Maguire novel, Wicked takes a fantasy journey through the unseen side of Oz, sharing a tale of unexpected friendship and love. Discover the untold story of the witches of Oz!